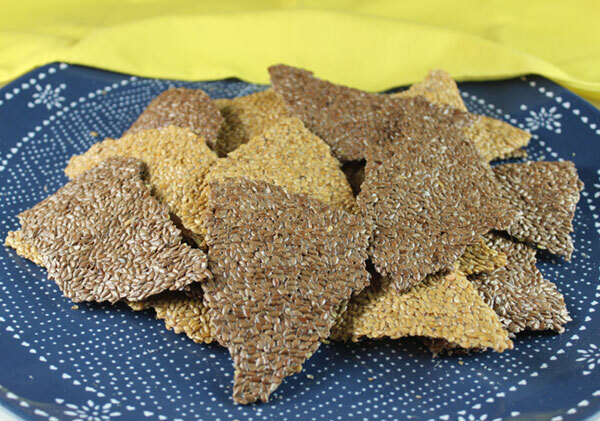 Flaxseed crackers are a handy healthy snack to have on hand for dips, hummus, seed cheese, soups or are delicious all by themselves. They are low fat, gluten-free and completely raw vegan. These are a basic recipe that only require a bit of prep work. Mostly that involves soaking your flaxseeds in enough water to create a gelatinous consistency similar to egg whites. This is usually achieved by soaking them over night or at least 4 hours before you want to use them. Because they are so easy to make and store well, we usually prepare a large one-gallon jar all at once. If you have an Excalibur dehydrator this will take up about 4 trays. 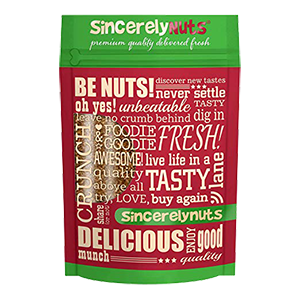 Most of the time spent is waiting for these crunchy snacks to dehydrate. They turn out light and crisp and their subtle flavor goes especially well with savory toppings. While there are only four ingredients in this recipe, not including the flaxseeds themselves, it can be easily modified to taste preferences and flavor themes by adjusting spices and seasonings. This is a basic recipe to get you started. Below we give you some other alternatives you might wish to experiment with over time. 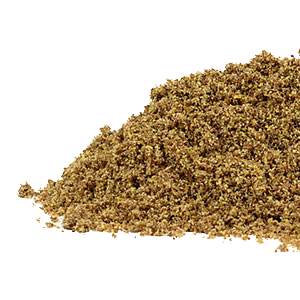 Although it is quite popular to bake flax crackers in an oven, they are more nutritious when consumed in their raw unheated state to preserve valuable enzyme content. This is why we make ours in a dehydrator, keeping temps close to 120 F° (49 C°) range to avoid enzyme and nutrient loss. 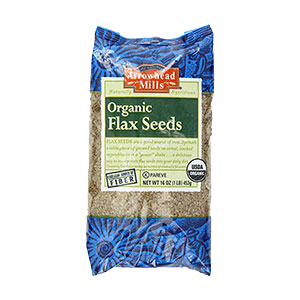 We also like to use whole flaxseeds when making crackers, rather than ground flax or "flax meal." 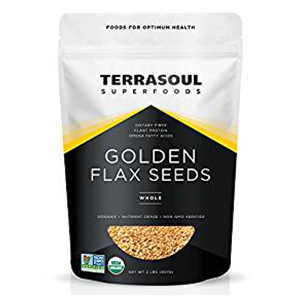 This is not only because they provide a much crunchier texture, but also because the volatile omega-3 ALA fatty acids won't be as affected during dehydration process. 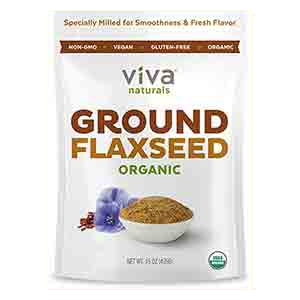 Two tablespoons of ground flax contain the following Recommended Daily Allowance (RDA) based on a 2,000 calorie diet. 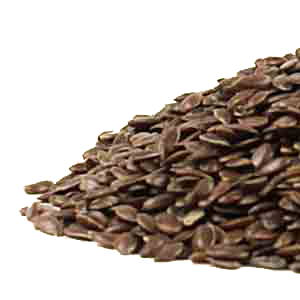 Flax seed contains trace amounts of 2% or less of vitamin B6, folate, pantothenic acid, calcium, iron, potassium and zinc. 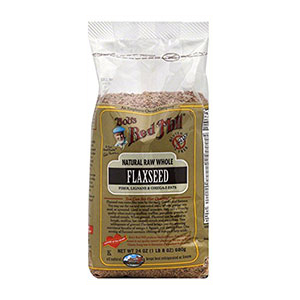 Flaxseed comes in two basic varieties: brown or golden and are generally considered to possess the same nutritional properties. Both taste pretty much the same as well. You can use either one for this recipe or mix them both together. It's mostly just an aesthetic preference. 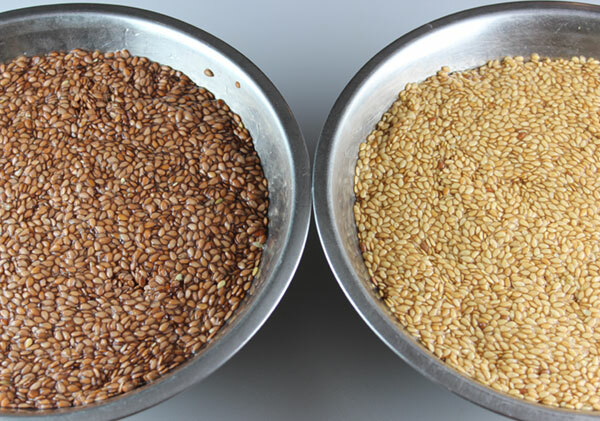 Soak two types of flaxseed in separate mixing bowls for several hours or until a gelatinous consistency. 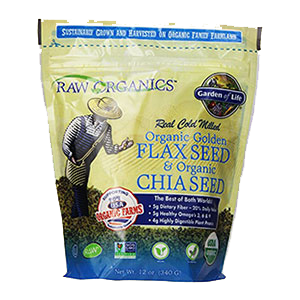 Split the remaining ingredients in half and mix into each bowl of soaked flaxseed. 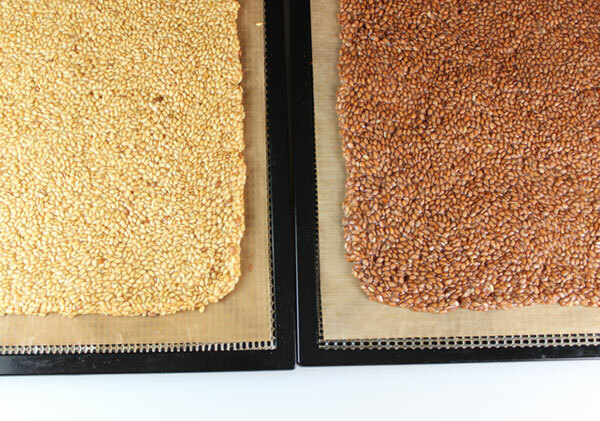 Place half a bowl per dehydrator tray with a non-stick sheet on top of a screen. Spread out mixture into a big square with a spatula, about 1/8 of an inch thick. This usually takes up 4 trays. After approximately 4 hours on low heat setting, flip the sheets over and peel them off leaving just the screen underneath. It is a good idea to place a tray with a sheet underneath to collect any cracker crumbs that may fall to the bottom. At this point you can also break up into cracker-size pieces with your hands, this will also decrease drying time needed. If you'd like to make uniform shaped crackers, you can alternatively score them with a knife at after about 3 hours in the dehydrator. Allow to dehydrated for another 7 hours or until crisp and dry. 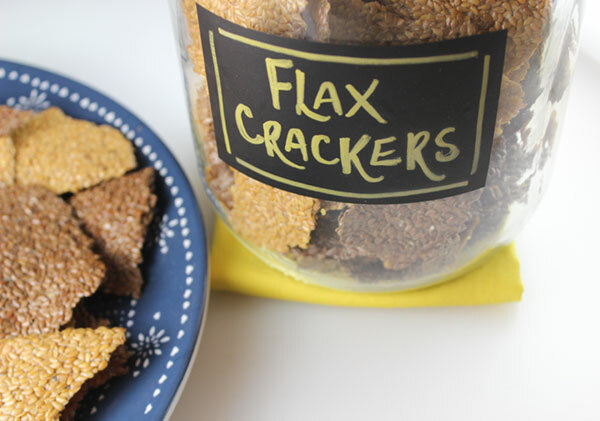 It is best to store your flax crackers in an airtight container in a cool, dry dark location like a pantry or cupboard space. 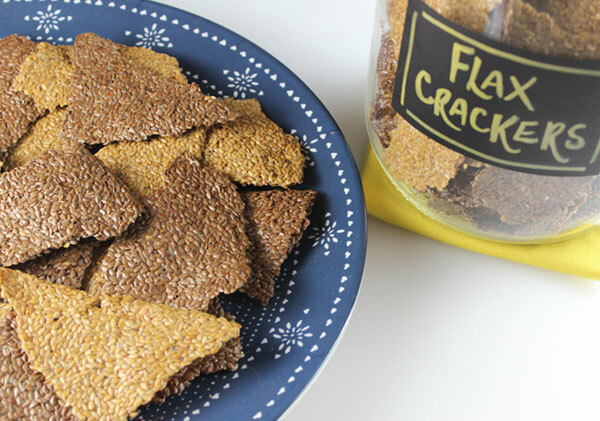 This flax cracker recipe will fill a one-gallon glass jar. Remember, when eating whole-seed flax crackers it is important to chew them well for best assimilation. Tex Mex - Instead of water use a salsa blend: red bell, cilantro, lime, red onion, fresh garlic, ripe tomatoes and chili powder. Curried - Add a blend of curry spices like turmeric, cumin, ginger and coriander. Chipotle Lime - Incorporate chipotle seasoning with lime juice and maple syrup. 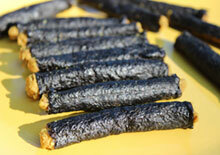 Nacho Cheese - Mix in nutritional yeast and seed cheese or use the cheese sauce from our nori nachos recipe. Green Crackers - Make a green leafy vegetable puree with nutritional yeast, fresh onion and garlic. Sauerkraut Crackers - Add a cup or two of sauerkraut for a tangy taste. 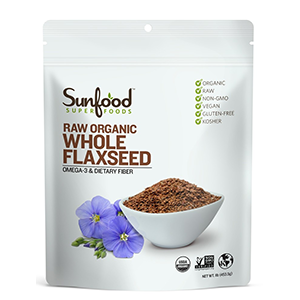 Flaxseeds are one of those food crops susceptible to genetic modification, so it is good to purchase non-GMO verified and organically certified seeds whenever possible. 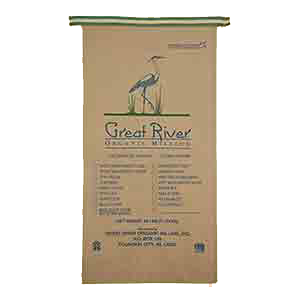 Quality seeds remain viable and will sprout or can be planted to garden grow a flax plant. 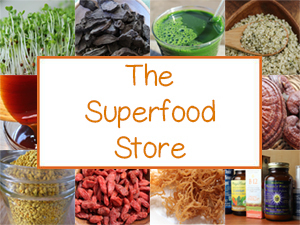 Sprouting the seeds is a good way to test for nutritional quality.